We all know who Christian Bale is. But Christian Bales? You don’t know who that is, but you will do, and for good reason. Here’s a young man who stares systematic opression in the face and says ‘Not today!’ in the most chill fashion. 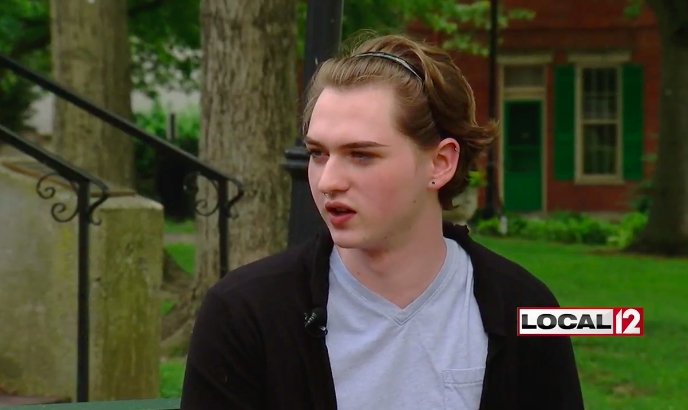 18-year-old worked so hard at Holy Cross, a Catholic school in Covington, Kentucky, he eventually earned the honour of class valedictorian. But before he could deliver his commencement speech on Friday, something happened that left him ‘kind of shocked’. The Diocese of Covington had deemed his speech too confrontational, the principal told him. Bales, who is gay and doesn’t conform to gender roles, once wore high heels and a floral jumpsuit to prom and the school had no issue. But Bales’s mother Gillian Marksberry said the principal approached her to make sure her son attended his graduation ceremony ‘in appropriate male dress’. “The young people will win” is a mantra that I’m sure many of you have heard if you’ve been attentive to the media recently. It’s a phrase adopted by the prolific Stoneman Douglas teenagers who are advocating for an agenda – our rights to feel secure as humans. We frequently see these individuals behind a computer screen, and therefore we see them as a separate body from us. However, they possess the same capabilities as us graduates. 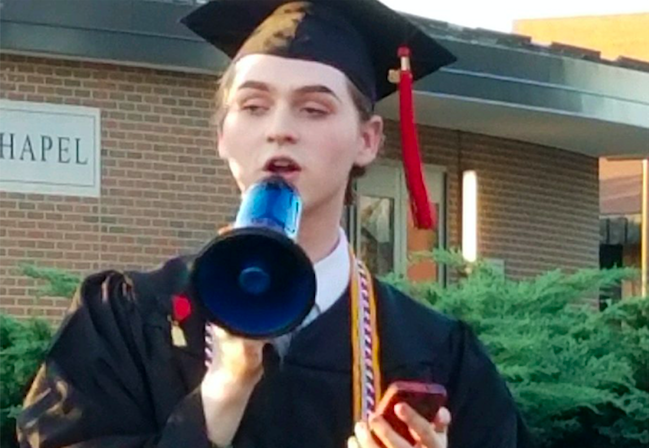 As we enter into the real world, we must remember that we have a voice. Throughout the past four years at Holy Cross, I’ve learned how to utilize my voice to advocate for my beliefs as an ethical individual. I’ve faced opposition in a number of scenarios, but my voice continued to grow in intensity as I faced more adversity. Rather than allowing opposition to silence us, we must utilize it as empowerment. As long as we nurture our minds as youth, we’ll be able to be equally impactful as we encounter the world. There’s a misguided notion that wisdom is directly proportional to age, but we’re disproving that daily. Sometimes the wisest are the youngest in our lives, the ones who haven’t yet been desensitised to the atrocities of our world. Therefore, we young people must be the educators. Class of 2018, we are dynamic. We are intelligent. We have a voice, and we’re capable of using it in all communities. We’ve learned a multitude of things at Holy Cross, and for that we extend a sincere thanks to our teachers, parents, faculty, and peers. However, it doesn’t stop here. We must take what we’ve learned in this community and apply it to the world we are about to encounter. We are the young people, and we will continue​ to win. 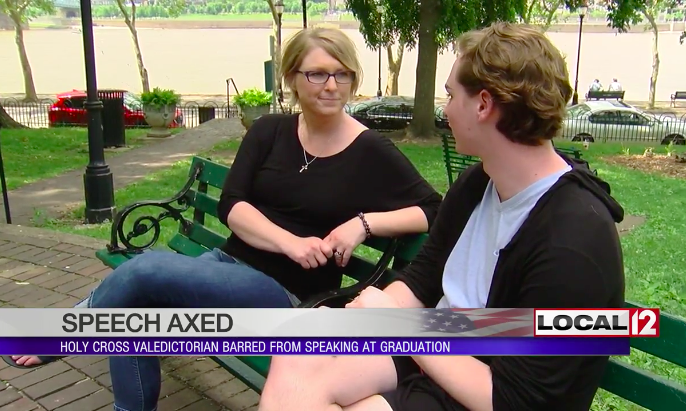 Catholic School Rejected Its Gay Valedictorian’s Speech. So He Gave It With a Bullhorn.